I can’t believe this month went by so fast or maybe it just seemed that way to me because I was just too freaking worried about what was going to happen to my dad to take note of the days. Also that was a long sentence. Even though the year started a bit too full of worry and sadness, it is evening out by the end of the month so I am hoping this was just a fluke and not a trend for the year. In other news, I have kinda taken a break from Duolingo. *GASP* I know. I have been such a good girl for a long while but the whole thing with my dad’s heart attack really shook me and I haven’t been able to continue with it as much as I wanted to. I am hoping that I will get back to it come February. So, there’s that hope. I wasn’t in the best place near the end of the last year as well as the beginning of the year and even now, I am not quite sure I have bounced back? However I am trying my best and seriously, reading has been a blessing. Sure, there were days when I couldn’t read anything and those were the worst because you know what they say about empty minds. However I did pick up books again and had a fun time of that. I also didn’t let my anxiety get the better of me except in tiny ways. I am still afraid to leave my father alone in our flat to do outdoor chores but I am slowly doing it. This month, my blog turned one! I did a Mini Update thingy and you can go ahead and click it to read it. I didn’t do a lot of book tags this month but that’s fine, I am not going to cry about it. There will be time for more later in the year (hopefully next month). But yeah, I did the following book tags! Then there were a few more posts about books and series I really want to read during this year, the list might be a bit unrealistic but do I care? Nope! There’s also that post about the most anticipated books releasing during January and June of 2019, there are way too many books releasing this year that I am emotionally invested in and I am worried about my heart. How many times will it break? I also talked about the e-ARCs I have on my Kindle thanks for NetGalley and the publishers. I have some truly good books there, if you wanna see which books I have, just click on the link below! I acquired some books this month ( I say acquired but I bought them really.) Anyway! I bought the concluding novel to the Winternight Trilogy which now I can finally finish reading because hello, I loved the first book. 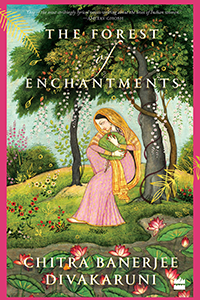 Then I also have The Palace of Illusions by Chitra Banerjee Divakaruni and The Forest of Enchantments by the same author. Both are a retelling of Mahabharata and Ramayana respectively from the perspective of the women involved in the myth. And now come the books I read during the month. I did read quite a lot because otherwise I might have gone mad. However there were some truly good books there mixed in with some not so good books. I don’t mind that, I am trying to branch out of my comfort zone and trying to read more diversely this year. I have read at least two books out of my comfort zone so far. I count that as a win, to be perfectly honest. I read a total of twelve books this month, don’t be super surprised though, most of them were short books and the rest were just books I absolutely raced through (and one of them I finally finished after not finishing it for months!). I saw what happened to the general bookstagram when Queen of Air and Darkness released in December of last year and that made me intrigued about Cassandra Clare’s books. I had tried to read it a long time ago but hadn’t finished even the first book but now I have read it and it’s not as terrible as some people claim and I gave it 2.5 stars. This book was the first ever pick for the Dragon and Tea Book Club over on Goodreads and I absolutely loved it. This is not an easy book to like, nor is it a light read and there are certain things in it that could be triggery so beware of those before you pick up the book but if you feel you are comfortable with it then I hope you are as obsessed with it as I was. Overall, you will either like this book and be messed up while you are reading it or you will throw it across the room and never pick it up again. I hope it’s the former with you. I gave it 4.25 stars initially though I raised it up 4.5 because it was just that good. This was such an unique read and absolutely horrifying at times if I am being honest. 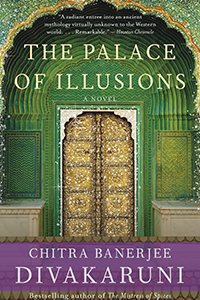 A blend of medical fiction and magical realism, this book is a gem. Overall, I would absolutely recommend it to those who want to read something different, something not quite paranormal but just weird enough to warrant the inclusion in the genre. Mind you, there’s quite a lot of details about various medical procedures and if you are easily spooked by that then think twice before picking it up. I am still not quite certain if what I read in this book was meant to be a parody of YA dystopian plot or if I was to take it seriously. And that’s a big problem for me. Overall, a very underwhelming read for me, not a bad book but not the book I was hoping to read in any case. Oh, well. You win some, you lose some. From what I have read on Goodreads, this is not the author’s best work so I am not giving up on the author just yet. For something that promised me at least a little bit of space travel, I was betrayed however more than that, this book is all about people specifically people in a marriage. I mean, it’s rather clever that they wrapped up a book essentially about people in a pretty sci-fi genre but for me, that felt a bit of a let down. Overall, a really good look at a marriage tested by circumstances so unique and weird that you have to finish to see if you are right in guessing what’s gonna happen. A post-apocalyptic look at how the survivors will cope with the reality of it. I thoroughly enjoyed the creepiness of the hotel, the very real probability of this happening in near future and the fact that some people finally decided to try to see if there were more survivors or not but I wasn’t totally happy with the way things ended overall. I gave it 3.75 stars and it totally deserves it, I think. It’s a pretty fun book to read if you are into post-apocalyptic world and a look at how the humanity can react to things afterwards. I got to know about this series because of Regan over on PeruseProject on YouTube and I am so glad that I did! This is seems like a super fun middle grade book series about elves! Sure the first one suffered a bit near the middle but I found it fun enough that I am going to continue reading the rest of the series. There’s at least five more books to read and I can’t wait to read them! If you are at all interested in Greek mythology then you might have heard of Galatea. A statue carved of ivory by Pygmalion of Cyprus which comes to life. Ever since I read The Song of Achilles by Miller, I have been meaning to read this short story and I finally did it as I was in the hospital. I read it like fifteen minutes and Miller packs quite a lot in those 32 pages. Oh gosh. What can I say about this book? 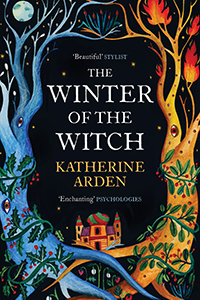 It such an quietly enchanting book with characters given their own space to breathe and live and that little magical tough throughout the book. There is Thames dominating the stories and lives of so many people, it’s all just rather wonderful to read and I read it slowly over a week. I think you all should read it slowly and savour the feeling of reading it because it’s just…absolutely wonderful. I am continuing with this series hoping for a better payout in the later trilogies. I am not quite sure who I like in this series so far because Alec and Isabelle Lightwood have the potential to be good characters, Magnus Bane is a favourite so far but the main characters only manage to infuriate me and I can’t connect with them at all. So, yeah, I am really hoping for a better book in the next installment. This was such a good book. Mary Shelley and how Frankenstein came to be, this story is told through mainly Mary and her step-sister Jane’s POV but there are other POVs as well! Not a single character is without grey morals and I absolutely loved every moment of reading it. It’s a pity that I have yet to actually read Frankenstein because I have read almost everything else I could get my hands on about Mary Shelley. Oh, boy. The serious sense of accomplishment this one brings. I started reading it in November and I couldn’t get into it for some reason. All the things I love about fantasy were there but I just didn’t pick it up again. Now I finally finished it and frankly, at this point, I don’t think I should be rating it because it won’t be proper. I might do a re-read and read the sequel back to back and then I might give a fair rating to this one. For now, it’s at four because whatever my reasons for not reading it were, none of them were because of lack of quality. I am not quite sure whether to count this one as a proper book or not so it’s not in the final count of the books read this month. However this was an important read, a long due read. I have been meaning to read it for so long but for some reason or other, I just never did. It was absolutely amazing and now I want to read even more of Adichie’s works. And that’s it for this month! 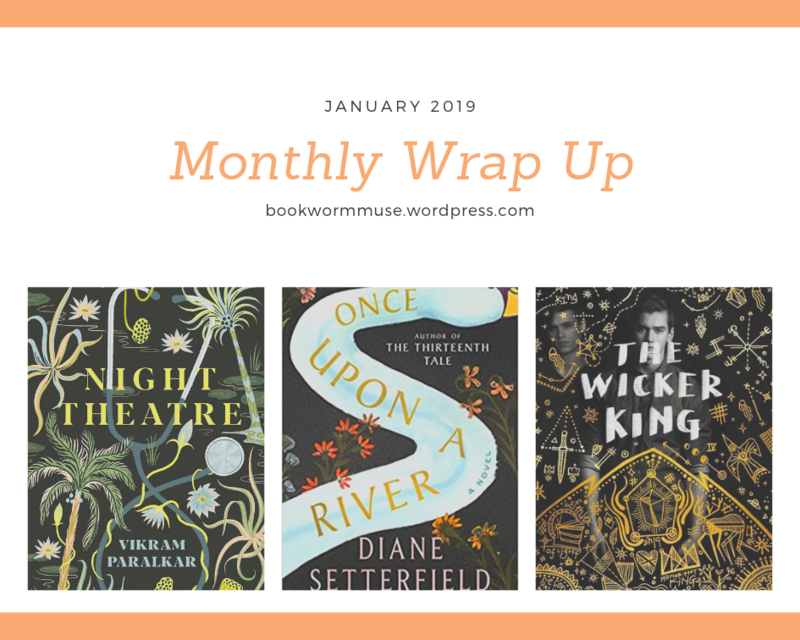 January was a wild ride for me in terms of reading, there were lows but there were also highs and I read something different so I am very happy with my reading wrap up. I also listened to a lot of podcasts this month, podcasts were a saviour for me this month in between hospital visits and helping out dad and just trying to live after his heart attack. Seriously. Bookish podcasts are the best. I am thinking of sharing my favourite podcasts sometime soon so be on the lookout for that. So, have you read any of the above books? If so, did you like them/ hate them? Share all your thoughts in the comments. Next Post My Favourite Podcasts! It’s such a quiet and unique book that you might need to be ready for the plot to be slow. However, luckily, it’s also an excellent book so it’s worth the wait. Thank you for the kind words and thanks for stopping by!